Create a lasting impression with attendees at one of the most attended events of the week. The Opening Gala will begin Monday evening with the official ribbon cutting opening the Exhibits. Exhibitors are invited to provide promotional items, such as napkins and cups. Signs at the Gala will recognize your contribution. Once the show is open, cocktails will be served at your booth and various locations throughout the exhibit hall. Make the evening your own! Investment: $45,000 for sponsorship of the entire Opening Gala. The SC Tutorials program held this year on two days, Sunday and Monday, offering attendees a variety of short courses on key topics and technologies relevant to high-performance computing, networking, storage and analytics. Tutorials also provide the opportunity to interact with recognized leaders in the field and learn about the latest technology trends, theory, and practical techniques. The lunch each day will attract 2,500 guests. Multiple branding opportunities are available to your organization. Each year, SC showcases not only the best and brightest stars of high-performance computing, but also its rising stars and those who have made a lasting impression. SC Awards is one way these people are recognized at SC. 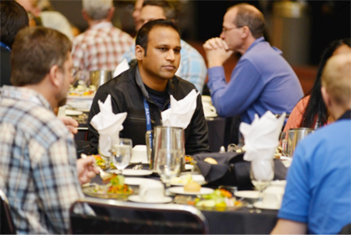 This event attracts the leaders in the industry and represents an opportunity to be associated with one of the most prestigious events at SC14. 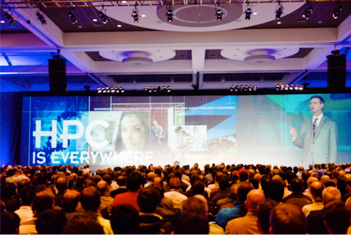 Take advantage of a captive audience and 4,000 top industry leaders at one of the most prestigious events at SC14. The Keynote Session features an address by a distinguished speaker and the SC14 Chair. Sponsorship includes the opportunity for branding at the Keynote, as well as a handout on the chair of each audience member beforehand. Your company will have an enthusiastic and appreciative audience when you sponsor a Refreshment Break for the Technical Program attendees. Exhibitors are invited to provide promotional items such as napkins and cups. Signs at the refreshment break and promotion on the web site will recognize your contribution. Beverages, refreshments and snacks are served to 4,000+ attendees during the Technical Program breaks. Multiple 22” x 28” signs including logo are displayed prominently at the break area recognizing your organization’s contribution. The Poster Reception is scheduled for Tuesday evening of the Conference. 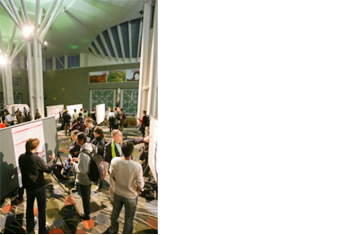 Posters provide an excellent opportunity for short presentations and informal discussions with Conference attendees. Poster authors will present their work and be available to answer questions at the Research Poster Reception beginning at 5:15 p.m. on Tuesday. Recognition of the sponsor will include a banner location near the Reception where the sponsor can communicate their message all week, signs during the reception, and more. 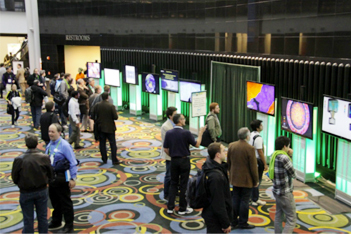 The SC14 Scientific Visualization showcases a wide variety of research topics in HPC. Selected entries will be displayed live in a museum/art gallery format so that attendees can experience and enjoy the latest in science and engineering HPC results expressed through state-of-the-art visualization technologies. Signs and recognition near the food stations and bars will brand your organization with this event. The Sponsorship Order Form can be found here. Contact the Advertising and Promotions team at 630.434.7779 or via email to discuss your goals and objectives.